Home HOME ACCESSORIES Doors Different Types Of Interior Doors And Their Uses! Different Types Of Interior Doors And Their Uses! 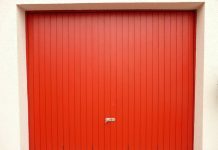 House doors are of several different kinds. Each door is addressed to a particular need. All doors are classified as exterior ones or interior ones. Depending upon constructions, weight, weather-tightness and some other related factors these doors are differentiated. The operation of the door decides its structure, exterior and function. If you want a door for your house security, it should be very solid, strong structure and highly efficient hardware. There are different types of interior doors. 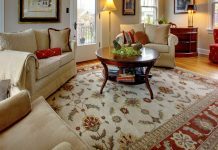 Based on your taste you can select for your home. Interior door does not require as much resistance as exterior door. You need not to consider all the things like weather or home security. Use light materials to made interior doors, these are just for privacy. You can use any type of material like fiberglass, solid wood, hollow core wood or solid core wood. You can found various styles of interior doors like – bypass, swinging, pocket, folding and glide doors. These doors are also known as sliding doors. These doors have two or more segments. In every direction these door segments can slide and slide past each other. You don’t observe any gaps as they can overlap slightly. Bypass doors are especially designed to be used in closets. It helps to access one side at a time. Usually this type of interior door is used as a substitute for swinging doors in very small spaces like bathrooms. They can also be used to divide rooms. You can also use French doors with glass panels as it allows the light to flow. These doors are fitted into tracks. One is situated at the bottom of the closet and the other is at the top. Using some kind of decorative trim, these tracks are hidden. Between the two racks the doors will hang. There is one drawback with these interior doors as you can not access the complete length of the door opening. Usually bypass doors can be made with different materials and they come in different varieties. Stiff plastic and vinyl are the most commonly used materials. These are stylish, save your space and are very convenient to use. In recent days most of the people are selecting this interior door for a better functionality. These doors are often used to cover a broad space where a straight door’s swing would be bulky or controlled. This door opens by folding back in sections. These interior doors combine the actions of both hinged and slider doors. This door uses both end pivots and overhead tracks. It is another type of interior door and also a slider. It is perfect for places wherever there is no space for a door to swing. Pocket door slides into the packet in the wall. Actually it is a conventional door accumulated on rollers that slide along a sliding track. 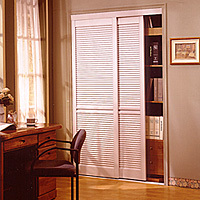 Pocket doors are suitable for those who are living in smaller houses, because it saves space in your house. Usually your house will be visible as bigger. These types of interior doors are expensive and needs more work when compared to others. Particularly these are helpful for small bathrooms and closet areas. If there is no place in the bathroom to swing open the door or an open door on the closet is often in the way, this type of interior door will be more beneficial. They are also suitable for bedrooms, kitchens and dining rooms or anywhere you want to save the space you can use it. These interior doors may be either right or left handed. A door that opens towards you and has the doorknob on the right is right handed. A door hinged on the opposite side is left handed. So, which type of door do you prefer to select? Each type offers different functions. I wish to use all of them wherever they are suitable. I think the same with you. Am I right? Previous articlePlanning For Master Bedroom? Here Are Bedroom Design Ideas! Next articleHow To Make Your Party Planning More Exciting?